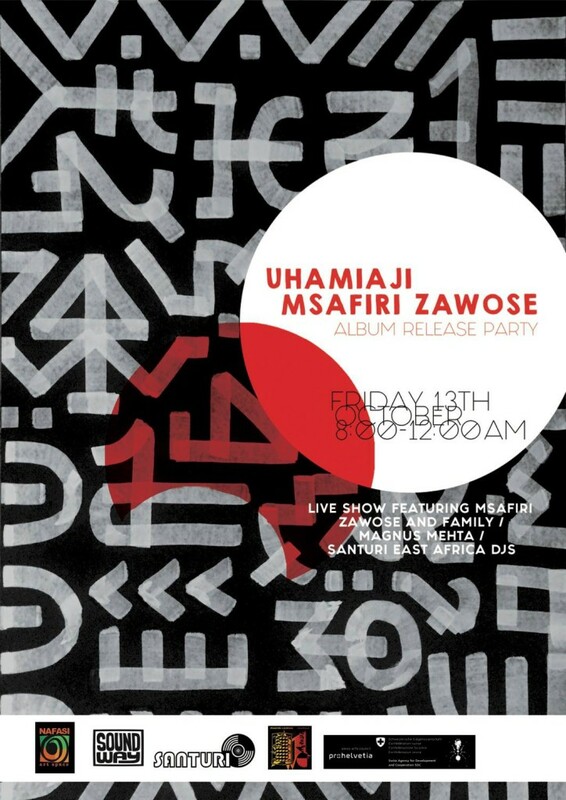 To celebrate the release of Msafiri Zawose’s Uhaimiaji LP on Soundway Records, we are delighted to present a record release party at Nafasi Artspace on October 13th. The album was recorded in Bagamoyo and London, and has been receiving rave reviews over the last weeks, supported by a UK tour over the summer showcasing Msafiri’s new live show. This event will be the official launch celebration in Tanzania, and will feature a live set from the singer and his UK based collaborator, Magnus William Mehta. DJ support will be by Santuri Safari’s David Tinning. Earlier in the day, we’ll also be hosting a discussion with the artist as well as the authors of an exciting new research project, supported by Pro Helvetia Johannesburg and the Swiss Agency for Development and Cooperation (SDC). Over the past year Santuri East Africa had been working with Pro Helvetia to develop a research project around connecting musicians from East Africa with the ‘global underground’. The research has been conducted in Tanzania, Uganda, Kenya, Germany and the UK, and puts forward a some interesting and exciting avenues for exploration. Starting at 3pm at Nafasi, this session will be of interest to artists, managers, cultural curators and music fans alike.